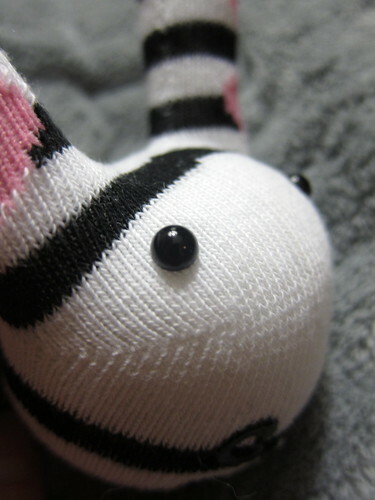 Working on some more sock bunnies this evening & realizing how much I love the look of safety eyes. They give these little guys such a wide eyed look & I feel good about giving them to younger kids. 9 years ago by Kat in Crafts , Easter , Holiday , Needlecraft , Sewing | You can follow any responses to this entry through the RSS feed. You can leave a response, or trackback from your own site. Those eyes really pop! Exactly what are safety eyes? Thanks for the info! I will be on the lookout for them. I have the sock book (and a glove book) in my Amazon cart! !